Poster designed to promote the graphic design vernissage for the graduating class of 2018. 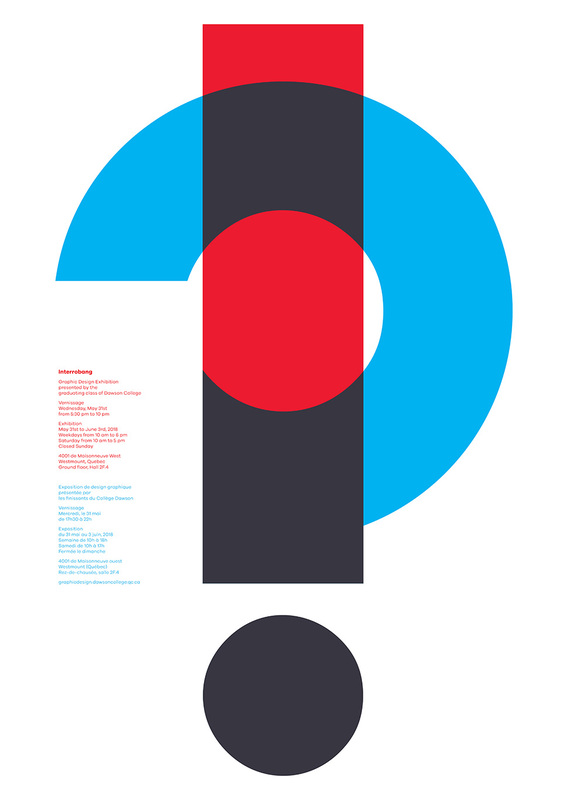 The main element, the Interrobang, is a symbol that was designed but quickly forgotten about in the 1960s. 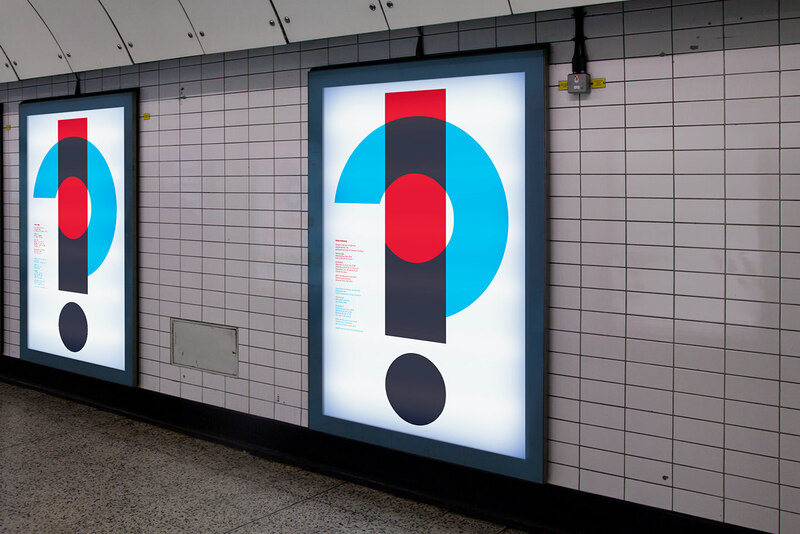 It is a symbol meant to represent both impact and intrigue, which are both themes graphic designers deal with on a constant basis. tied for first in the student vote.